I hope that when Alexis goes off to college in the fall, her parents will feel one more connection to her through this quilt, made from the scraps of hers. 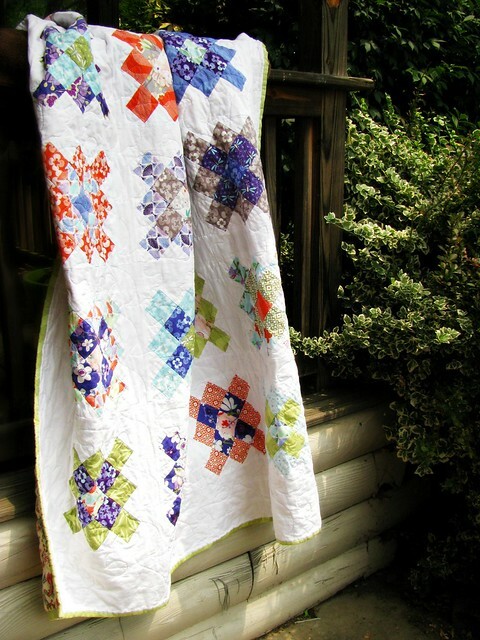 You can find the tutorial for Granny Square Quilts here, and see another one I’ve made here. And if you’re hooked and want to see even more, check out the I Heart Granny (Squares) group on Flickr! Well aren’t you the sweetest for thinking of the parents, too?!! I am making a granny square quilt, almost identical, to your original one and I hadn’t seen yours until just now! I have two charm packs of Malka’s fabric and a granny square quilt was the only thing I could come up with! 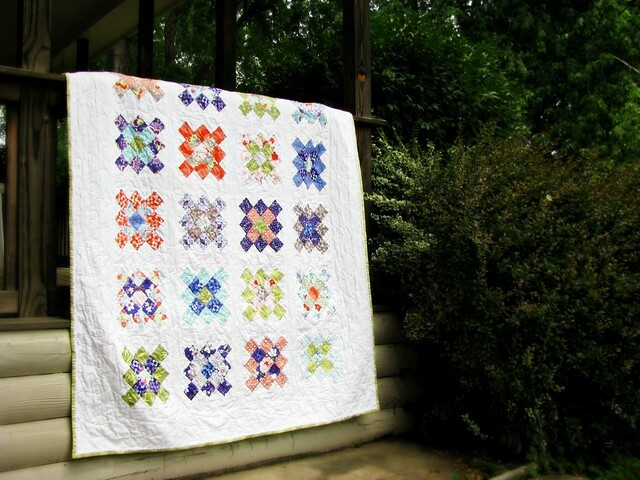 Malka’s fabrics are just gorgeous and two charm packs are perfect for a granny quilt! I hope you’ll like yours as much as I like mine — the colors are so vibrant and happy! 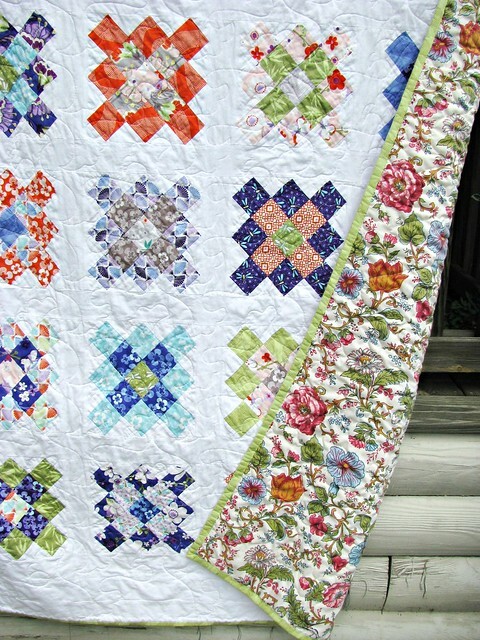 Love the fabric choice for this and the cross quilt, too. Love when the color or fabric line name has real meaning!